May 17, 2017 • The loss of intact forest cover in Myanmar has accelerated in the past decade, according to a study by Smithsonian Conservation Biology Institute (SCBI) scientists and partners published May 17 in the open-access journal PLOS ONE. Due to its long political and economic isolation, Myanmar has retained much of its original forest cover, but much of the intact forest is unprotected and increasingly subject to pressures from rapid political and economic changes in the country. For example, areas that were inaccessible due to armed conflicts between the government and ethnic groups are starting to open up for timber production and commercial plantations. 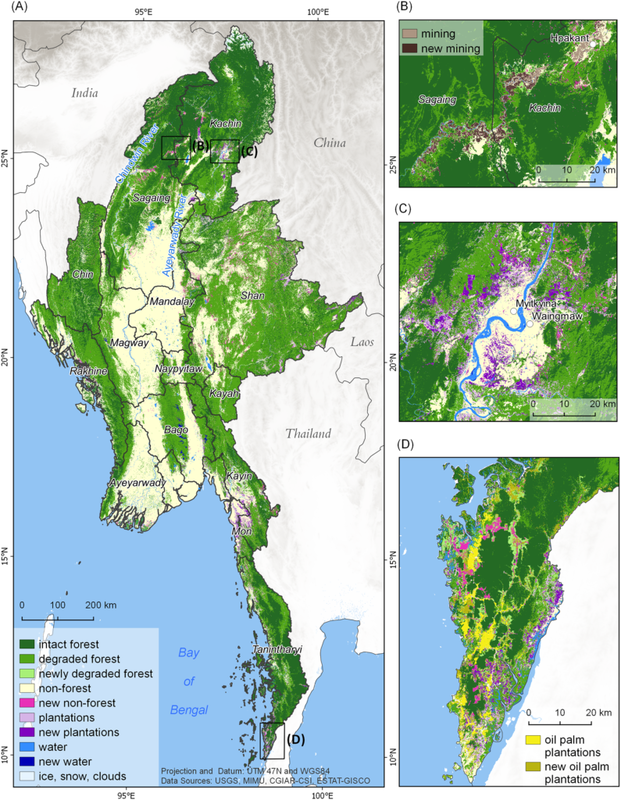 To investigate changes to forest cover, the paper’s authors used Landsat satellite images to map forest cover in Myanmar between 2002 and 2014. In terms of conservation efforts and protection of endangered species, intact (un-fragmented) forests are the most valuable. During the study period, the authors found that Myanmar’s intact forest (38 percent) declined by 11 percent (more than 2 million hectares) with an annual loss of 0.94 percent. 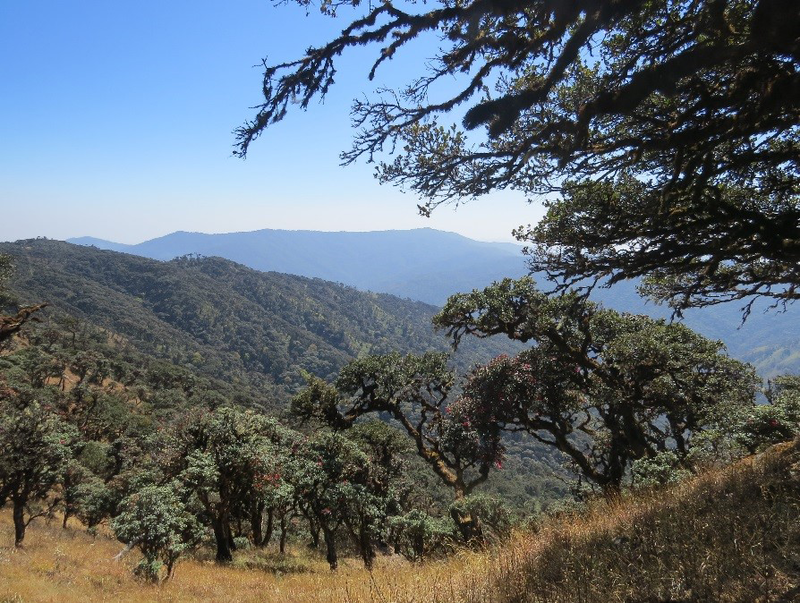 Through their analyses the authors also identified nine township hotspots of deforestation of intact forests and a large area 6.1 million hectares of intact forest in northern Myanmar. The authors suggest that protection of intact forests should take priority, but other ways of improving forest management could include encouraging forest restoration and reclaiming degraded forestlands for plantations and sustainable agriculture. and Thiri Khaing, Zaw Min Thein, Kyaw Moe Aung, Kyaw Htet Aung, Paing Phyo, Ye Lin Tun, Aung Htat Oo, Anthony Neil, Win Myo Thu, Asja Bernd from the EcoDev/ALARM, Kamayut Township, Yangon, Myanmar and/or GMAP, Hlaing Township, Yangon, Myanmar.